In 1989 Alexandre Gabriel wanted to breathe new life into Cognac Ferrand, with the intention of producing the world’s best Cognac. He wanted to maintain the historic, craft-based production methods once used in the region of Grande Champagne- the finest region for Cognac production, actually located in Bordeaux and not the Champagne region of sparkling wine repute. Since then, Ferrand has built its reputation on crafting fine cognacs and other spirits according to traditional methods. Stewed figs, marmalade, nougat, and peppery baking spices are all woven together in the mellow yet complex palate. Very deep and smooth, but with a prickle of pepper, the Landy VSOP is great for sipping on its own. 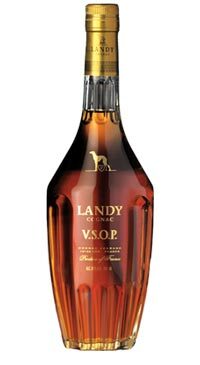 Very deep and smooth, but with a prickle of pepper, the Landy VSOP is great for sipping on its own.